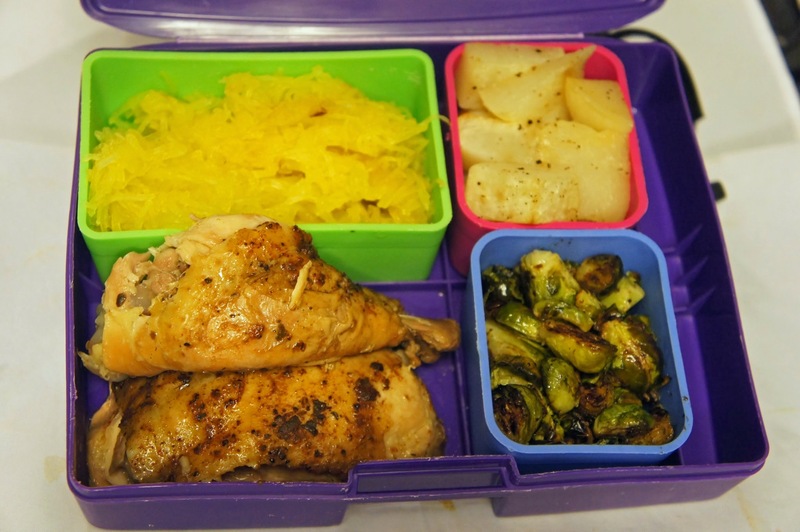 Today's bento theme is: Roasting. The application of dry heat to meat and vegetables to prepare a dish. A lot of the time, roasting is associated with low heat longer cooking but it's not limited to low and slow, sometimes you can apply the technique in a high temperature setting (usually on tender cuts of meat). But for the most part low and slow gets you a lot of flavor without having to stand and watch over a dish. In vegetables you get the sugars to caramelize, root vegetables get nice and tender. For tough or large cuts of meat it gives it time to break down collagen and connective tissue so it becomes "fall apart" tender. The key is retaining moisture. A lot of time you either sear (in the case of meat) or slather in fat or oil to help in that process. In this case, I did neither.... This recipe came from listening to NPR on my commute home, it was a "copy cat/fast food fakeout" recipe for a roasted chicken. The idea seemed sound, you put on a dry rub on the chicken and then you sit it in a slow cooker for seven hours (no liquid) and roast it. The chicken smelled absolutely delicious and the meat was fall off the bone tender. The only problem was the meat itself did not retain any moisture. There was a large amount of liquid at the bottom of the slow cooker, all of the fat had rendered out of the chicken! The chicken I selected was the prescribed pounds so I was at a loss to why the dish turned out to be such a failure. After a bit of digging it seems that slow cooker to slow cooker "low" can vary quite a bit. 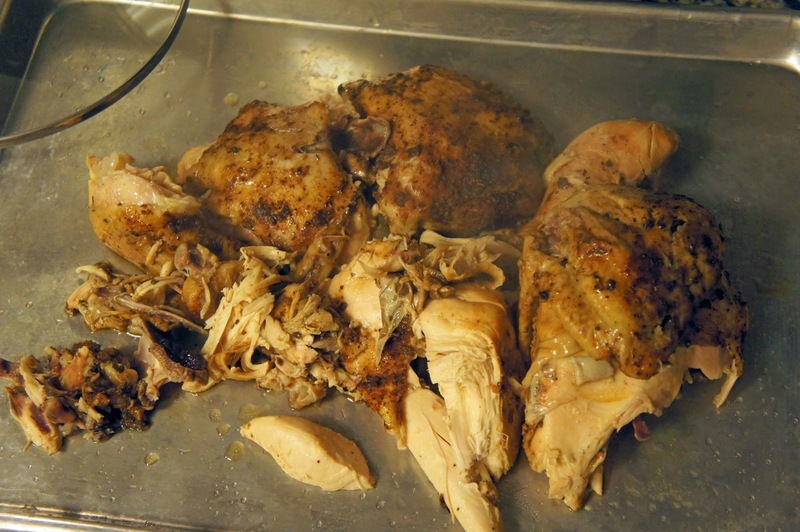 I'm use to throwing things into a slow cooker and it magically "working" but apparently chicken is more finicky, which makes sense since it's low on the connective tissue and fat (in the breast). To correct for this problem next time, I will insert a probe thermometer and go for target temperature rather than time. It seems stupid and elementary when I type it out and read it to myself but there you have it. 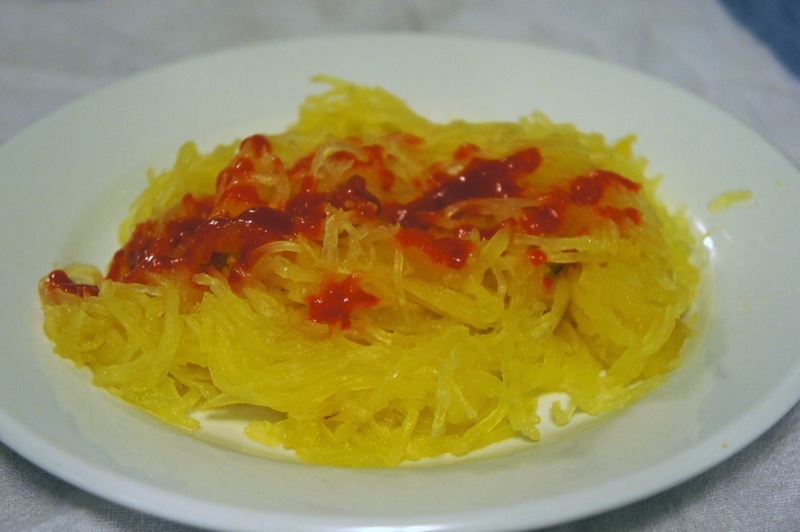 Roasted butternut squash with sriracha. 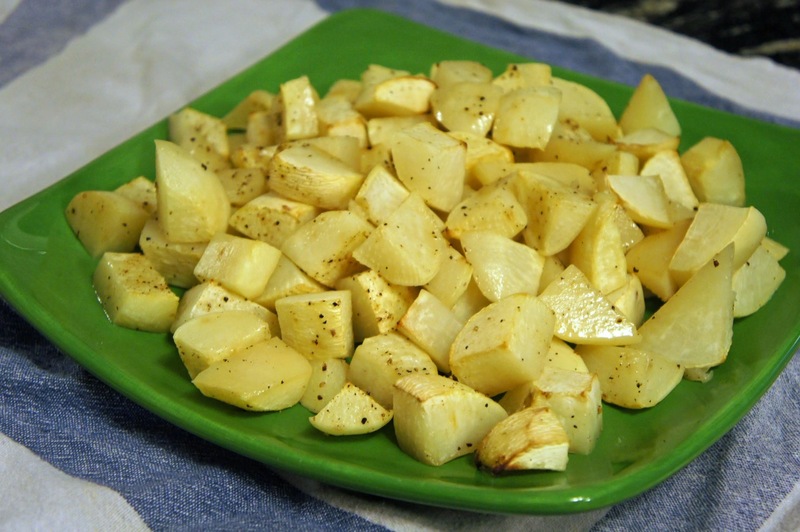 Roasted turnips, which came out nice a sweet, just a bit of salt and pepper. Usually turnips and radish are used in soups and stews in Chinese cooking, I think i prefer it to the roasted version which has a little bit of bitterness to it. Apparently brussels sprouts are in season so I picked up a box at the farmers market. I've been trying to recreate a balsamic brussels sprout dish I had a restaurant. I roasted them in the oven with a bit of olive oil and salt and ten minutes before I tossed in a bit of balsamic vinaigrette, tasty but not quite right. I may try to fry them next time. 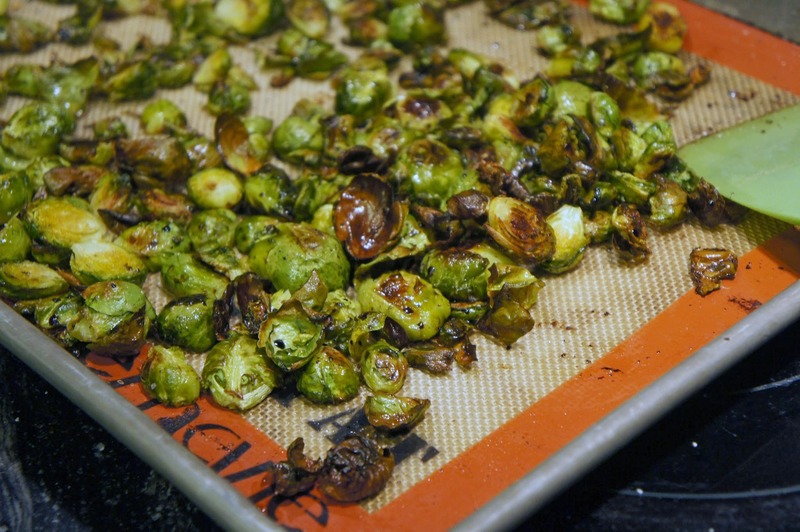 The sprouts sweeten as they roast and the balsamic gives it just a bit of tang but there was a missing crunch texture to the exterior and loose leaves.